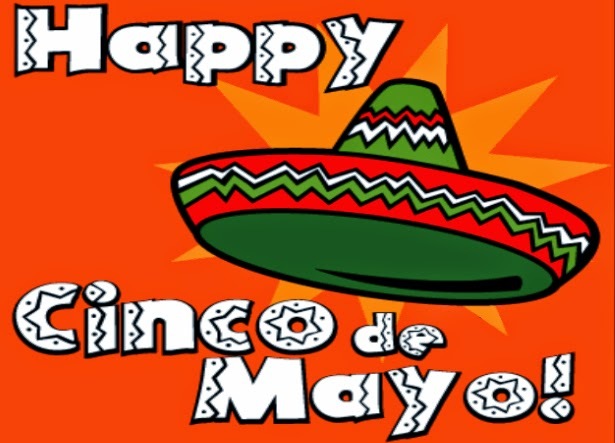 OK – I have no allegiance to this “holiday” whatsoever, but it’s a great excuse to grab some friends and enjoy some great food (and drink!)! 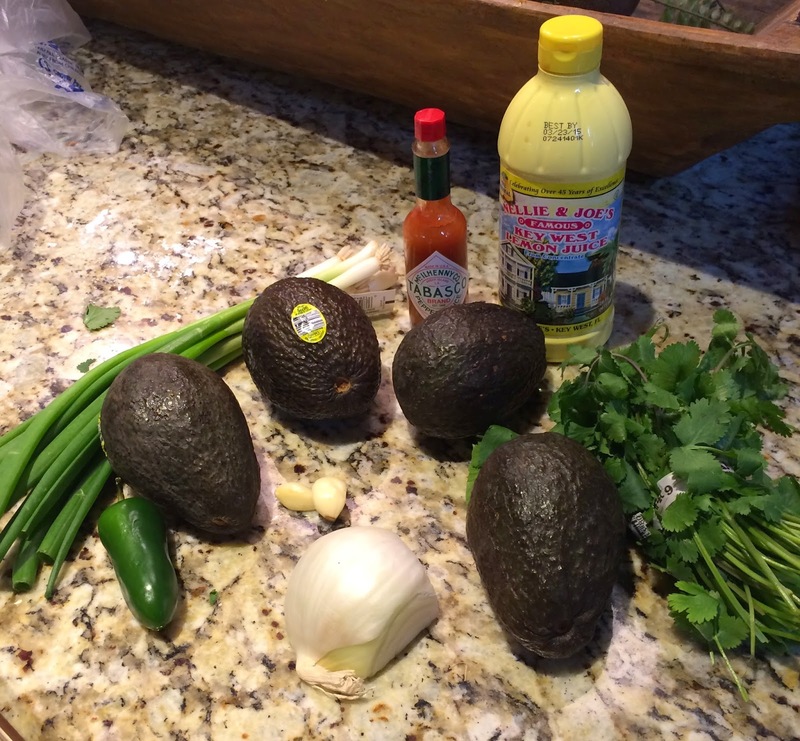 This recipe is my all time favorite for guacamole! It’s just just enough kick to it but also has a bit of crunchiness with the onion and fresh jalapeño to give it texture. And with the addition of tomatoes it’s visually more appealing than simply a bowl of green blob. Add all remaining ingredients and stir. 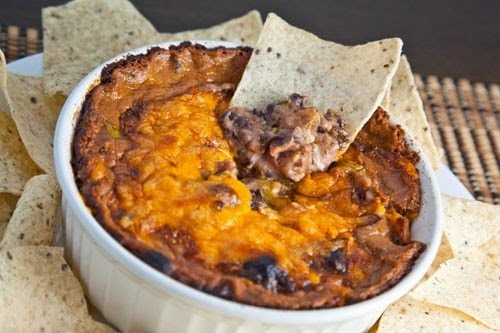 Allow a bit of time for the flavors to blend and serve with tortilla chips. *Note: guacamole does darken when exposed to air for a time, so it needs to be prepared right before serving. But IF you must prepare it a bit before that, cover with Saran wrap and press the wrap directly on top of the guac. It’ll keep the air out and reduce the darkening. Puree everything in a food processor to your desired consistency and enjoy! 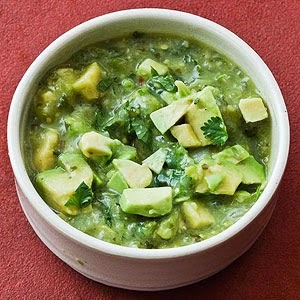 In a blender or food processor, combine the tomatillos, garlic, green chile, cilantro and ½ cup water. Process to a coarse puree. Add the avocado and pulse until nearly smooth. 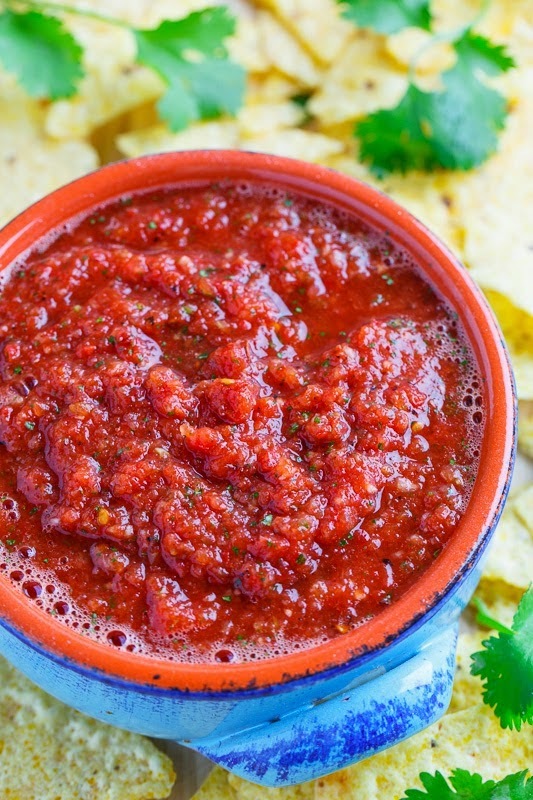 Pour into a salsa dish. If necessary, thin to a drizzleable consistency with a little more water (I often add 1 to 2 tablespoons more). Taste and season with salt, usually about 1 teaspoon. Mix everything, place in a baking dish and bake in a preheated 350F oven until it is bubbling on the sides and golden brown on top, about 45-60 minutes. I’ve been making these enchiladas for years. They are super easy and really yummy. I use lower fat cream cheese and sour cream. Heat oven to 350 degrees F. Spray a 9×13 glass dish with PAM. 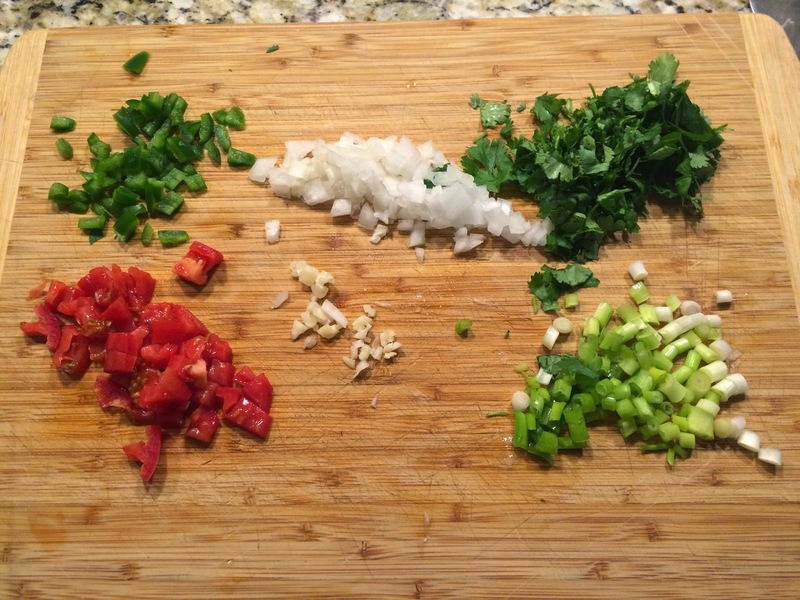 Mix 1/4 cup of the tomato and green chiles, chicken, cream cheese and green onion together. In another bowl, mix together the remaining diced tomato and green chiles and sour cream. Wrap tortillas in a damp paper towel and microwave 15 seconds to warm and soften. Arrange chicken mixture evenly down the center of each tortilla. Roll and place seam side down in the baking dish. Bake, covered for 30 minutes. Pour sour cream mixture over enchiladas, and top with cheese. Re-cover and bake an additional 10 minutes. Let stand for 15 minutes. Garnish with tomatoes and lettuce. 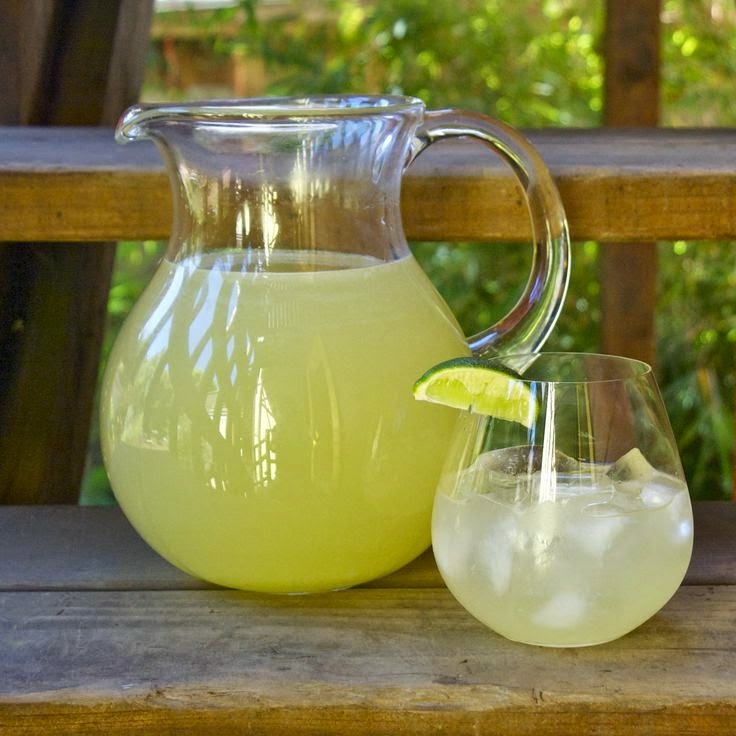 Just before serving, in a half gallon pitcher combine the tequila, the minimum amount of Cointreau or Triple Sec and the lime juice. Taste and add more orange liqueur if you think your margaritas need more sweet oranginess to balance the other flavors. Remember, you’re tasting it warm and undiluted; when chilled and diluted, the flavors will be mellower and the lime’s tartness will be more attractive. Pour several tablespoons of lime juice onto a small plate and several tablespoons coarse salt onto another. Have martini glasses at hand (chill them for an extra special touch). As your guests ask for their margaritas, invert a glass into the plate with the lime juice to moisten rim, then lightly dip into the plate with the salt. For each drink measure 2 ounces (1/4 cup) of the margarita mixture into a cocktail shaker. If you have a 2-ounce ladle that you can keep in the pitcher, measuring goes much faster. Add ice cubes (5 cubes for 1, 8 for 2, 10 for 3). Secure the lid and top and shake vigorously for 10 to 15 seconds. Strain into the salt crusted glasses and serve! OK – so it’s not technically “Mexican,” but, Texas is close to Mexico, and this sheet cake is the best. Been making it forever. It’s my “go-to” birthday cake, but of course chocolate cake is good anytime! In a large mixing bowl, combine flour and sugar. In a heavy saucepan, combine butter, coffee and cocoa. Stir and heat to boiling. Pour boiling mixture over flour and sugar in the bowl and stir. Add the buttermilk, eggs, baking soda and vanilla. Mix well with a spoon or mixer. Pour into a greased 11×17 pan. Bake at 400 degrees for 20 minutes or until it tests done. While the cake bakes, prepare the frosting. In a saucepan, combine the butter, cocoa and milk. Heat to boiling, stirring. Mix in the powdered sugar and vanilla until smooth. Pour warm frosting over the cake as soon as you take it out of the oven. Cool and then cut into ~ 48 bars. Freezes well.